Esports doesn't need the Olympics. It shouldn't be an Olympic sport. There is an increasingly vocal perception out there that esports will enter the Olympics. But that would benefit no one, and be a wasted opportunity for others. Make no mistake, the explosion in esports has been incredible, and great for so many people. 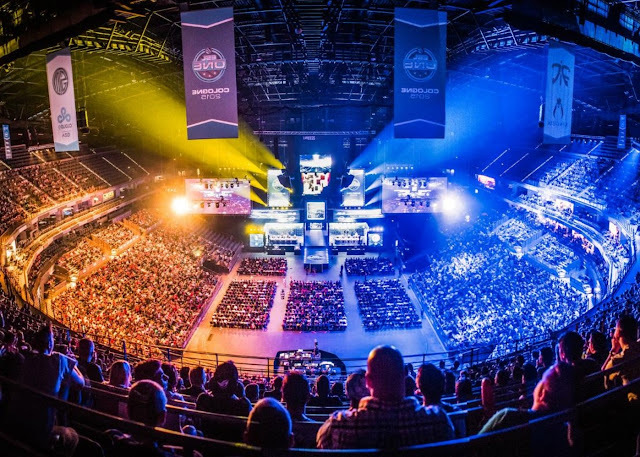 Esports events fill stadiums, and are increasingly broadcast through television, or even cinema. By 2020, esports could generate as much as $1.5 billion in revenue. That is a mainstream activity by definition. In addition to being a huge commercial opportunity, though, the really great thing about esports is the kind of opportunities and inspiration it has afforded people who are otherwise uncomfortable with conventional sport. People who are passionate about playing games now have heroes and potential careers to aspire to, and those opportunities are precious. It's hard not to be inspired by the growth of esports, and what it has come to mean for so many people. But all of that growth, which shows no sign of abating, has happened without the slightest whisper of games becoming an Olympic event. And if games are never included in the Olympics, the esports scene isn't going to lose a beat. There are plenty of other sports that have not needed the Olympics to become important; sports like cricket, NFL (Gridiron in America), motorsports, or AFL (in Australia). Esports, as with these sports, has grown organically and by itself. The simple reality is that there are certain sports or competitive activities whose growth is driven through cultures gaining mainstream attention, and the amplifying effect of the Olympics doesn't really benefit them in any substantial way. But there are other sports that could desperately use the attention that the Olympics brings them. Take the sports that have been included in the 2020 Games in Tokyo. These sports include sports climbing, surfing and karate. It's hard to gauge exact numbers of people who participate in these sports, of course (especially since there are so many recreational players who have no intention of entering competition), but it's safe to say that none of these sports have the kind of commercial interest nor draws the raw numbers that esports does on a day-to-day basis. All three sports will, however, experience a significant uplift in participation following the Olympics. For example, following the London Olympics, England saw an uptick of 750,000 people playing sports regularly. As that article highlights, many of those people did indeed take up sports that were involved in the Olympics - running, cycling and sailing all benefit substantially. Niche sports desperately work to capitalise on the attention given to them through the Olympics. In another article, Volleyball England highlighted that there was a 850 per cent increase to traffic to the website directly following on from the London Olympics. Anecdotally, I remember chatting with someone from Gymnastics Australia who mentioned that there was always a spike in sign-ups following an Olympics. This interest might well fade. In fact, it probably does. But for the niche sports, just a year or two of amplified interest results in far healthier and sustainable financial position for the sport. I've got another anecdotal example; I am heavily involved in Dancesport - or competitive ballroom dancing. It's not an Olympic sport, but it benefitted from mainstream attention for a while thanks to the likes of So You Think You Can Dance and Dancing With The Stars. Competitions, when those shows were at their peak, were anything from three to five times as large in numbers. On that basis Australia was able to host a world championship and to this day Australians compete in healthy numbers in dancesport competitions around the world. So major events do amplify a sport, and the Olympics is the biggest amplification that any sport could hope for. That's why sporting's international bodies fall over themselves to adjust the infrastructure behind the sport (how it's judged, how anti-doping is managed) in order to fit with ICC requirements, in the hope that their bid to be added to the Olympic roster is accepted. It's what dancesport has been working hard to achieve, and what Sport Climbing, Surfing, Karate and so on did to win inclusion in the 2020 Olympics. Just like esports, niche sports give people purpose in life and give them dreams to chase. A young girl (and it seems to be a sport that is disproportionately appealing to girls) involved in Sports Climbing can now dream of a gold medal. The increased attention to her sport means that companies that supply that sport will sell more stuff, and the added attention to the sport means that they can use the additional revenue to provide sponsorships to that girl so she can turn her passion into a career. So many young kids getting into ballroom dancing for the first time hear that the global dancesport body is working hard to get the sport into the Olympics, and that inspires them to train and work hard on their own sport. That is every bit as inspiring as a young kid that sees his hero winning a League of Legends championship and then plugging away at that game for hours each day to the point that he or she is then competing against their heroes for those same championships, years down the track. Again, esports doesn't need the Olympics. It has the participation. It has exposure. It has the money. It has prestige, the attention of the mainstream, and it's still growing. Esports being an Olympic sport isn't going to get people who are exclusively interested in esports to pay attention to other Olympic events. An argument I've heard for the inclusion of esports is to capitalise on the popularity of gaming to make the Olympics seem relevant to the younger generation, but that's not going to do it. The gamers will watch the esports events and then go right back to their Twitch streams. I love my video games, and I love seeing the growth of esports, but gaming and esports are under no existential danger. People calling for esports to be an Olympic game should recognise that their field is healthy and secure, and step aside. God knows there are enough other sports out there, and the young girl who loves her netball, the young boy that spends every moment he can hitting a squash ball around, the young ballroom couple, and others in dozens, if not hundreds of other sports, also deserve their chance to work towards a moment of mainstream fame. No. Esports should not be an Olympic event.